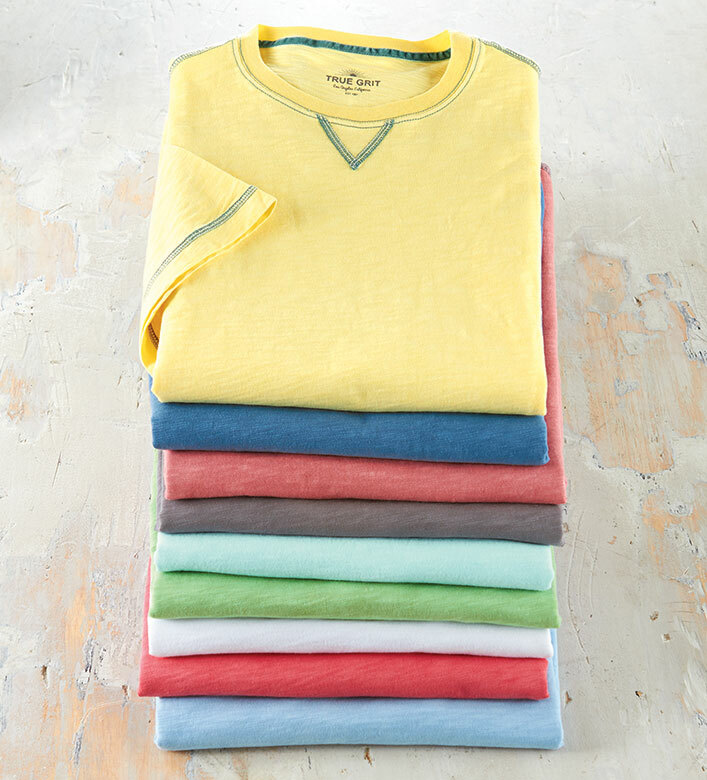 Great color and texture in 100% combed cotton. Hemmed short sleeves, crew neck, V detail. Machine wash. Imported.